Holiday Festival of Music is a beloved tradition which marks the beginning of the holiday season for those in and around Richmond. This lovely concert features the music of the Richmond Symphony, accompanied by area choirs, and is performed at the beautiful Cathedral of the Sacred Heart. 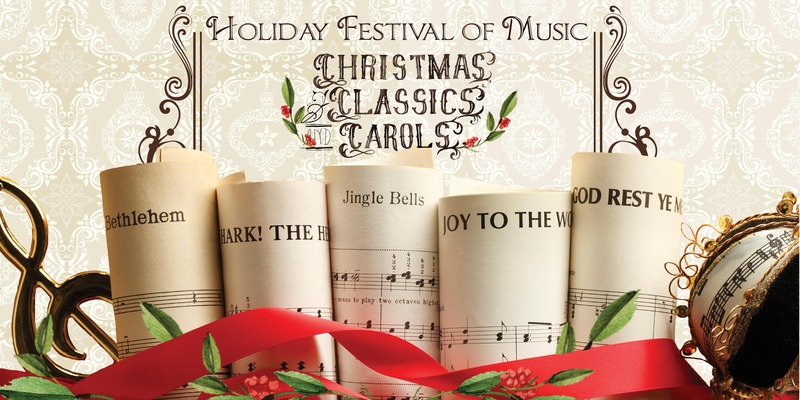 This year’s concert will feature a Victorian theme in honor of the 175th anniversary of Charles Dickens' classic, A Christmas Carol. Completed in 1903, the Cathedral has inspired generations with its old-world splendor and beauty. The elegance of the cathedral and the inspirational music is an incredible experience for all who attend. In 2017, Holiday Festival of Music celebrated its 26th anniversary to a sold-out crowd of nearly 1,000 guests of all ages. The funds raised by the Holiday Festival of Music benefit the services and programs that Commonwealth Catholic Charities provides to the most vulnerable members of our communities. Some of the many services CCC offers include counseling, foster care, emergency financial assistance, and adoption. Last year, with the help of funds raised through the Holiday Festival of Music, CCC was able to serve nearly 66,000 individuals.